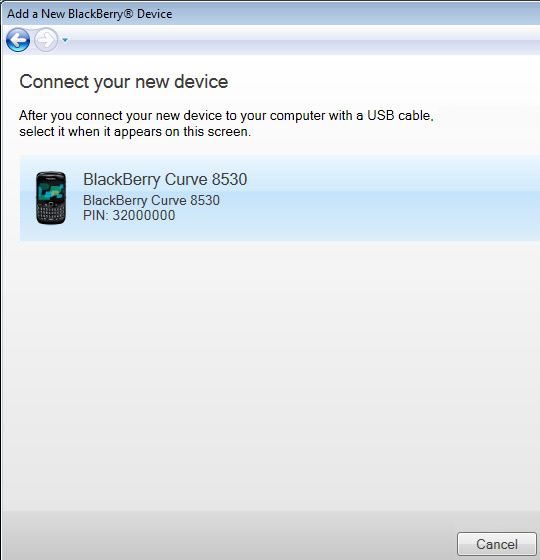 Ensure both devices are connected to the computer via the supplied USB cables. 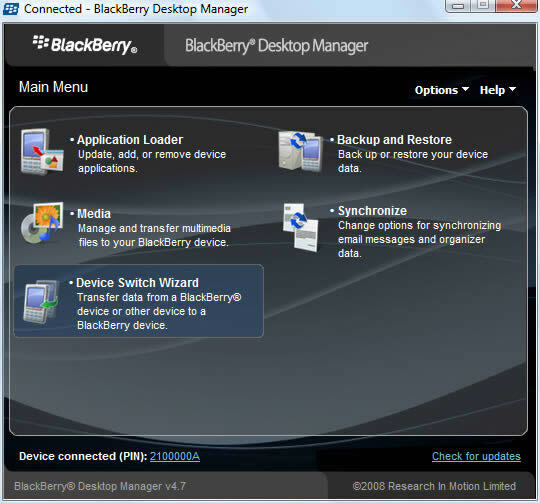 From the Windows desktop, navigate Start > Programs (All Programs) > BlackBerry > Desktop Manager. 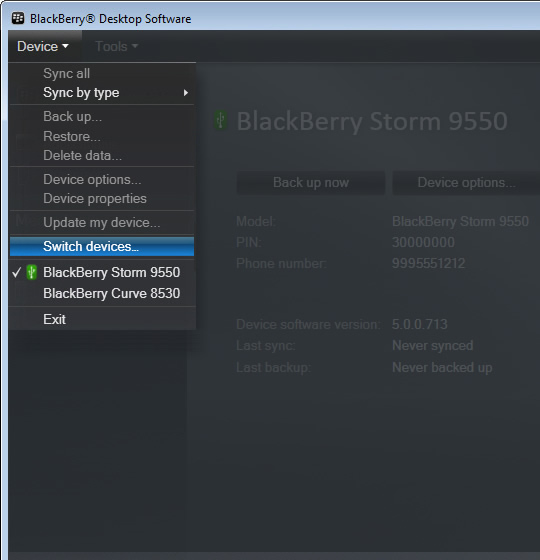 With Windows 10, click Start > Apps icon (located in the top-left corner) > All apps (located in the bottom-left corner) > BlackBerry > BlackBerry Desktop Software / Desktop Manager. 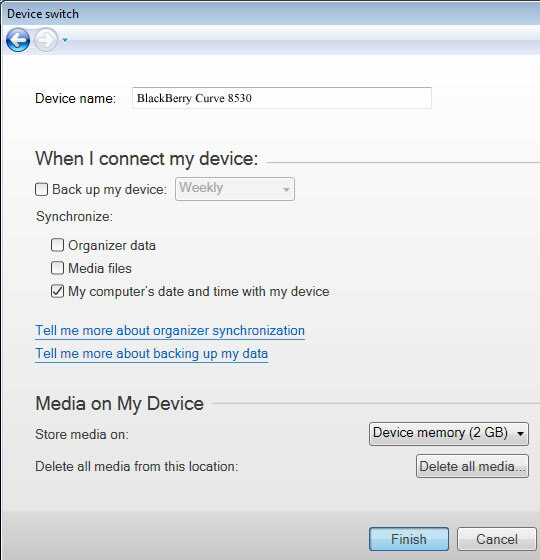 From the Switch BlackBerry devices section, click Start. 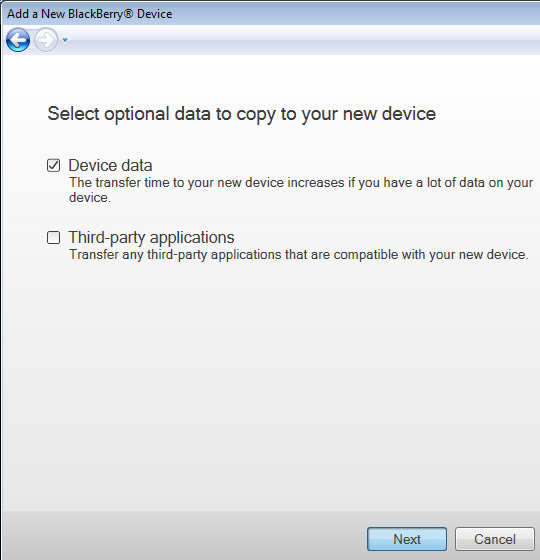 Enter/Select the following information as appropriate then click Next (located in the lower-right). 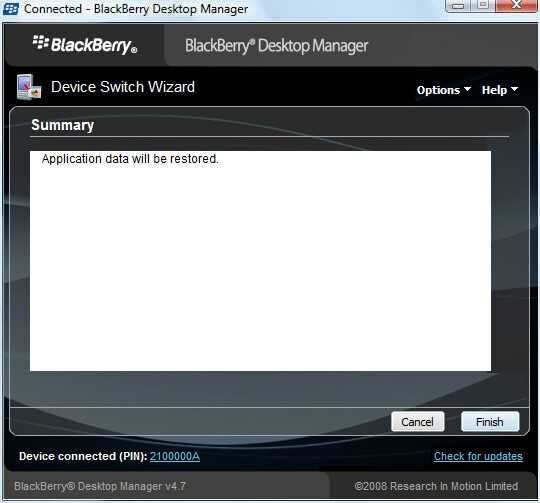 To locate the device PIN, refer to BlackBerry article KB05026 for assistance. 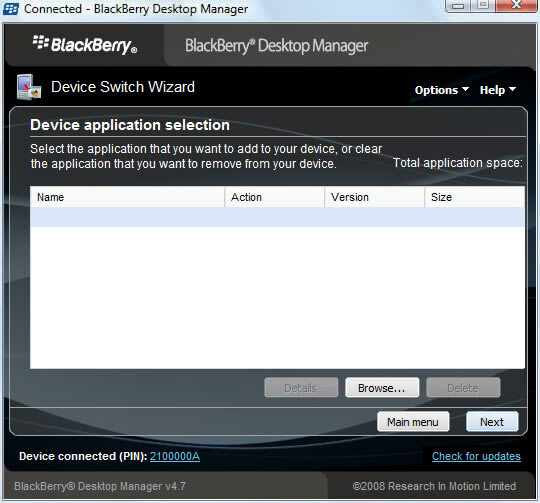 If presented, select/delete desired applications then click Next. 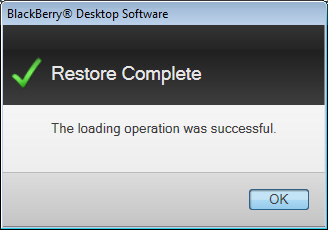 Click Finish (located in the lower-right). 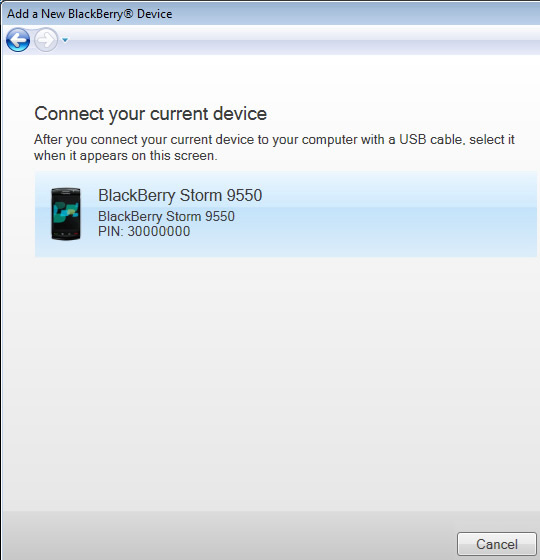 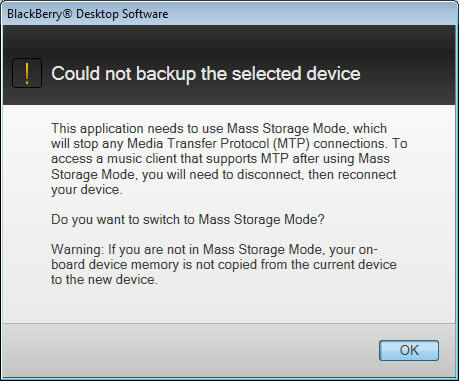 Ensure the previous BlackBerry device (containing the data to be copied) is connected to the computer via the supplied USB cable. 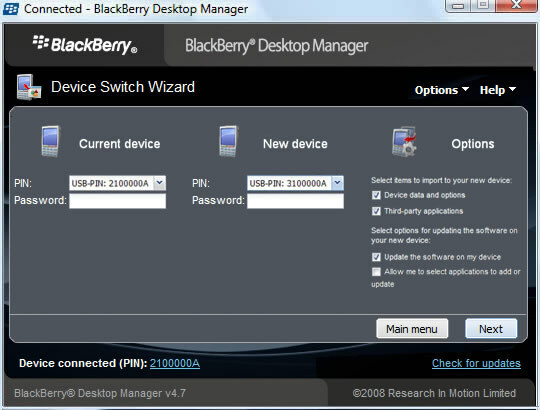 From the Windows desktop, navigate Start > All Programs (Programs) > BlackBerry > BlackBerry Desktop Software. 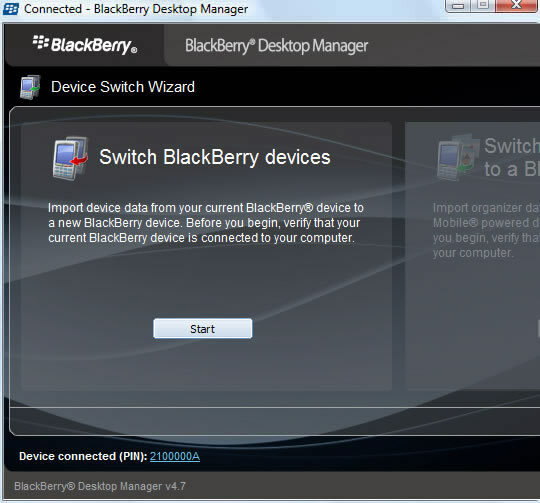 Click Device > Switch devices. 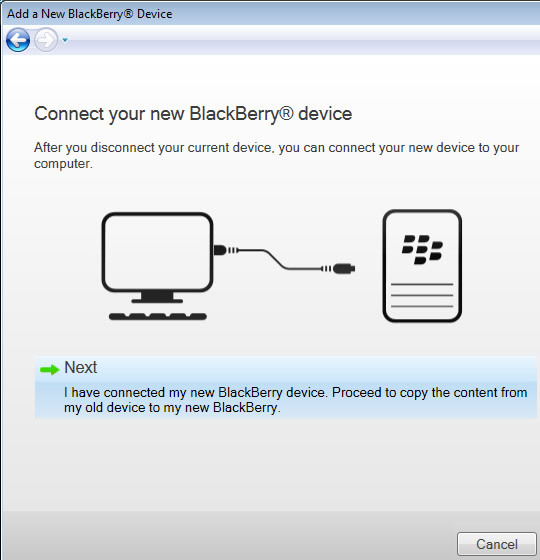 The device models depicted in the following images are only an example. 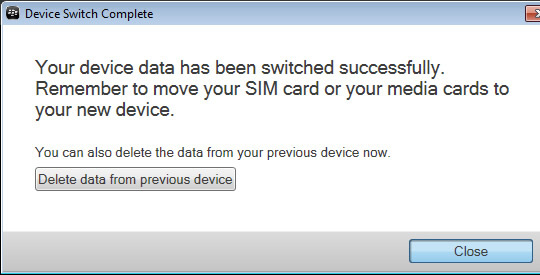 To delete data from the previous device, click Delete data from previous device then follow the step-by-step instructions.